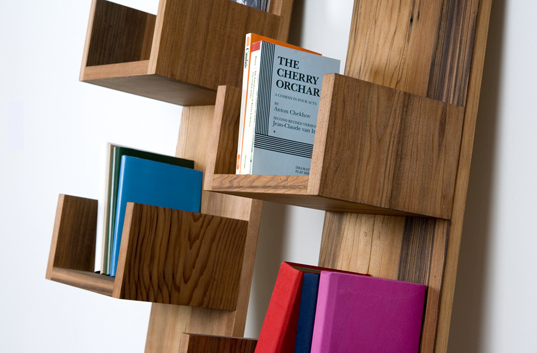 These new shelves designed by Deger Cengiz perfectly embody the contemporary spirit of sustainability. Constructed from reclaimed redwood salvaged from a dismantled New York water tower, Cengiz’s Leaning Shelves are a series of simple wood planes joined together without any screws or hardware. 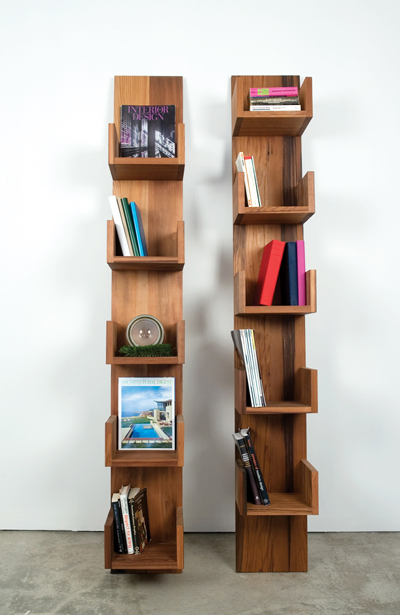 Cengiz’ leaning shelves feature a distinctly modern design that emphasizes unique extruding U-shaped pockets for storage and display. Their installation couldn’t be simpler – just prop the pieces up against the wall and you’re all set. And if you happen to be keen on sets, his collection also boasts the matching Planar Chair, a minimalist seat made by joining four pieces of the same material, sans metal.